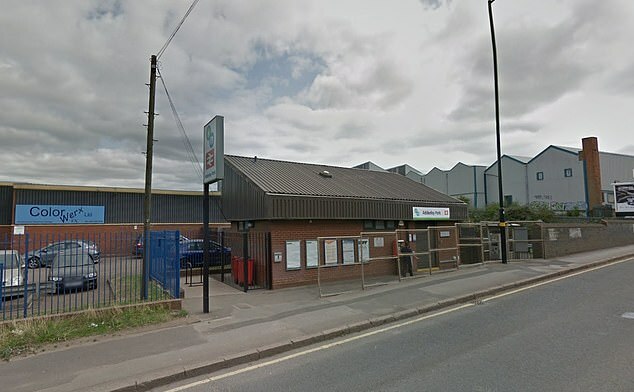 A 55-year-old man has died and another has suffered head injuries after they were struck by a train at a railway station. Both men, from Birmingham, were hit by a train as it made its way through Birmingham’s Adderley Park station this afternoon. The 55-year-old died at the scene, while the second man, aged 57, was rushed to a local hospital for treatment. British Transport Police said the incident is not being treated as suspicious and a file will be prepared for the coroner. Emergency crews were called to the scene at 1.16pm following a report of a pedestrian being struck by a train. A West Midlands Ambulance Service spokesman said: ‘On arrival, crews discovered two patients. ‘Sadly, it quickly became apparent that nothing could be done to save one of them and they were confirmed dead at the scene. 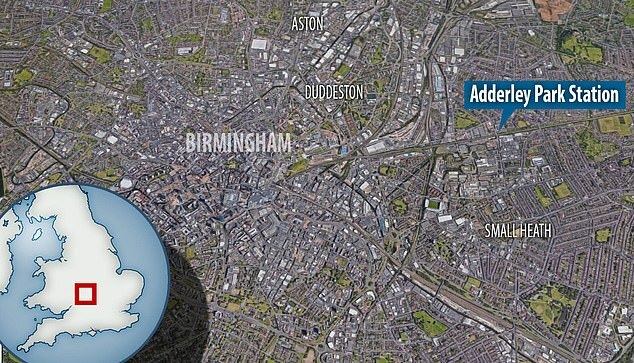 Train operator West Midlands Railway said Adderley Park station had been closed until further notice. It added that the closure was causing delays and cancellations to services between Birmingham New Street, Northampton and London Euston. Any witnesses are asked to text 61016 or call BTP on 0800 40 50 40.